Here are some rules that I’ve figured out along the way to help me write about cops. Now I am a cop, so some of these are based on my own experience. Others are based on what I’ve seen work well on the page. These rules were written mainly to help the fiction writer, but should be helpful for any writer. 1. Keep the lingo to a minimum. Every job has its own special language. Your first few days on any job are going to be spent giving your new coworkers blank looks every time they use this new jobspeak. The police are no exception. In fact, cops are some of the worst offenders when it comes to having their own peculiar language. For example, cops were texting on their in-car Mobile Data Terminals, or MDTs, long before there was a word for it among cell phone users. But when you’re writing about cops, don’t try to introduce the reader to a whole new language. Anthony Burgess did this in A Clockwork Orange and it worked, but chances are all you’re going to end up doing is making the reader skip ahead to the part they can understand. Plus, a lot of copspeak is agency specific, so what they say in the LAPD won’t work for the NYPD. I recommend picking one or two bits of lingo and sticking to that. It’ll give your story the authenticity you’re looking for without confusing the reader. A good example of this is Michael Connelly’s novel Echo Park, where we’re introduced to the LAPD’s “51 sheets.” Not only does Connelly keep the lingo to a minimum, but he makes it a key plot point, which is very effective. 2. The police are paramilitary in nature. Rank is everything; or, as my dad used to say, everybody rises to their highest level of incompetence. Most agencies–but by no means all–promote their personnel through civil service tests. This means that just about any fool can get promoted as long as he or she tests well. Conversely, you might have a Harvard grad stuck in the patrolman rank his whole career. But regardless of the promotional system used, be it tests or the good ole boy network, rank is everything. Make sure you understand the rank structure of the department you’re writing about. A detective may be a supervisor in one department, but a peon in another. You don’t want to get that wrong. Also, remember that people hold grudges. The person you mock today may be your lieutenant in ten years, and petty people tend to have long memories. See Edward Conlon’s Blue Blood for some great examples of this. 3. Bigger equals more specialization. As a general rule, the bigger the police department, the more specialized their personnel become. For example, the NYPD, with over 55,000 officers in its ranks, has got a 23 man detail assigned to investigate nothing but fine art forgery and theft. Meanwhile, down in Podunksville, they have ten officers in their whole department, and usually just one of those officers will have detective responsibilities. He’ll be the poor shmuck tasked with doing the follow up investigation on every crime the agency handles, be it a murder or a rash of graffiti. Cormac McCarthy’s No Country for Old Men and the novels of J.A. Jance are good examples of how this principle applies to smaller agencies. 4. All cops are jugglers. If I could give you one metaphor for police work, it would be this. Imagine standing in the middle of a huge river and being told you have to drink every drop of water that comes by. Every drop that does get by is a case that goes unsolved. The reasons for this are legion, but it all boils down to one significant point. Namely, that cops have to keep a whole bunch of balls in the air at any one given time. We’ve all seen these shows about the cops who get one case a week and they work it through to the end, hopefully with dramatic, tear-jerking results. We’ve all read the books about the detective who becomes obsessed with an old murder case, usually at the expense of everything else in his life. Cops definitely obsess, as we’ll see, but that doesn’t mean his supervisor is going to stop assigning him new cases. Criminals rarely make appointments to commit their crimes. Juries may wonder how a detective could possibly forget the details of a case in which a victim has been carved into a canoe with a hatchet, but for a large city homicide detective, that’s just the thing that happened before lunch on any given Tuesday. The novels and stories of Raymond Chandler, especially where Philip Marlow interacts with the police, are great examples of this. See also the private eye stories of Loren D. Estleman and Joseph Wambaugh’s The New Centurions for a glimpse of the overworked policeman. 5. Cops become their jobs. Earlier I said that cops do obsess about certain cases. That’s true. I once knew a detective who handled a twelve year old girl’s murder. He told me there are times when he looks into a crowd of people, and everybody in that crowd has got that little girl’s face. He said there are days he wakes up crying. We hear stories of cops like that and it’s natural to wonder if the line between the cop and the man hasn’t gotten a little blurry. Is it so strange then that cops find it difficult to shrug off their hard edge of weariness when they’re off duty? This is where the thin blue line comes from. If you’re inside the line, you have a map to the emotional wasteland that is the internal landscape of quite a few policemen. If you’re outside, you’re just part of the problem. That doesn’t mean that outsiders can’t write believably about cops. John Updike, for instance, wrote with great empathy about the physical ailments and frustrations of aging women in his recent novel The Widows of Eastwick, and he’s obviously never been an aging woman. The same can be said about cops. If you want a handy, less threatening way than the thin blue line to write about cops, think about parenting. Cops are a lot like parents. Some are good parents, some are bad parents. Some of them are nurturers, some of them are abusers. None of them are perfect. 6. There are no magic bullets. Despite what you see on the cop shows, video cameras rarely pick up the crime. And even if they do, the images are of such poor quality as to be next to useless. Fancy CSI-style stuff like picking up license plates off ATM machine cameras or getting somebody’s DNA off the rim of a coffee cup are so rare that, should we actually get something like that in real life, we would immediately call the Discovery Channel and have them do a Forensic Files show on us. It’s true that computers and the Internet and a whole slew of advances in forensic science have opened up a new universe of possibilities for investigators, but you have to remember the way evidence gets deposited in crime scenes. Burglars are rarely so considerate as to roll out a perfect thumb print on a smooth, non-porous material. DNA is readily available off an air bag, or in blood left at the scene, but it doesn’t mean a thing if you don’t have a master sample to compare it to. The same would be true of dental records or ballistics. The key to good police work remains the low tech art of talking to people. Far more cases get solved this way than in the laboratory. Fortunately, this works out for the fiction writer, because the only way to bring your detective to life is to have him talk to people. 7. Police work is done on the cheap. While we’re on the subject of CSI stuff, we’d do well to talk about an ugly reality of police work. Everything is done on a budget. Remember the famous Arlo Guthrie song, “Alice’s Restaurant?” You hear it every Thanksgiving Day on the radio. It’s the one with the twenty-seven eight-by-ten color glossy pictures with circles and arrows and a paragraph on the back of each one explaining what each one was. Well, Arlo Guthrie was making a lot of points in that song–mainly about the draft–but one point I don’t think he intended on making was that police resources are rarely deployed in the way we think they should be. Consider the case load of the average big city police department. Every crime can and should be investigated and the evidence collected should be processed through an official crime lab. Well, every test costs money. That takes time and equipment and people, and all three of those things mean more money. Police departments have finite budgets. So, in reality, while you can do soil samples and shoe print impressions on a burglary, chances are you won’t. You can run paint samples through a gas chromatograph in a hit and run case, but chances are you won’t. When your detective heads to lab to see what nifty CSI stuff is getting done, just remember, there’s only so much money available, and it has a lot of ground to cover. 8. One bullet equals three pounds of paperwork. This one almost goes without saying. Do you have any idea how many reports Dirty Harry would have had to write? One thing I can tell you though is that real police officers live by the creed that you can do anything you want out there, just as long as you can explain why you did it on paper. A former police chief once told me that he was passed on the highway by two patrolmen driving 95 miles per hour with the windows down and their arms hanging out the open windows. They saw him as they passed him, recognized him, and immediately cut down the next exit ramp. When he confronted them with an Internal Affairs investigation, both officers claimed they were experiencing terrible diarrhea and had to get to a bathroom right away to keep from soiling city property. I leave you to make your own conclusions. 9. Don’t overexplain how things work. A famous science fiction writer and editor (I believe it was Hugo Gernsback, but I’m not sure about that) once said, “Don’t tell me how the Farkle Drive works. Tell me what it feels like to sit behind the controls.” This is not quite the same thing as the old fiction writer’s adage, show, don’t tell. The difference is that when you’re writing about technology, you need to make it invisible. Otherwise you come across like somebody paraphrasing a technical manual. If you’d like a good example of how not to do this, read Dean Koontz’ Midnight. In that book, he describes at length the operation of a patrol car’s on-board computer, called an MDT. The information is all correct, but it sounds like he read a couple of textbooks on police procedure and simply regurgitated it into his own book. There are better of ways of doing it, such as the three way interview room scene in James Ellroy’s L.A. Confidential. 10. Cops are brilliant; cops are morons. This is the one rule that sums up all the others. When I was a young patrolman, I knew an officer with quite a few years experience. I looked up to this guy because he seemed to really know the streets. One day, he’s driving through a small neighborhood on the shallow west side and this old woman comes running out of a house, waving her arms in the air, screaming in rapid fire Spanish about something going on inside her house. The officer doesn’t speak Spanish, but he figures he needs to check it out. In he goes. He finds the living room crowded with frantic people. On the couch is a fourteen year old girl about to give birth. Well, with all these people screaming and panicking, my friend calms the girl and delivers her baby. Mother and daughter are fine by the time EMS arrives. My friend was even cool and collected enough to get on the radio and request a time check for the birth of the baby. He became a god in my eyes. A few years go by. Now I’m a detective. My friend the god is still a patrolman. One day I’m reviewing a report for lewd conduct written by my friend the god. In that report, my friend the god wrote, without a trace of irony, “The suspect made sexual in your windows to the complainant.” It made me think of what Robert Penn Warren said about the giants of our youth becoming the small minded fools of our middle age. Larry Niven has a famous essay for science fiction writers on building believable ecosystems. The main trap most beginning writers fall into, he says, is not giving enough detail to their ecosystems, which we all know are diverse, complex things. He calls the problem the “It was raining on the planet Mongo syndrome,” which you may remember from the old Flash Gordon series. I think the same reasoning can be applied to police agencies and their officers. Every agency is going to have its own climate, its own way of doing business; and every agency, big or small, is going to have its fair share of characters. Diversity is the name of the game. 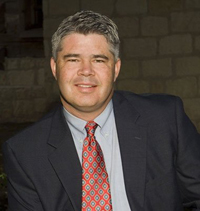 Joe McKinney is a homicide detective for the San Antonio Police Department who has been writing professionally since 2006. He is the Bram Stoker-nominated author of Dead City, Quarantined, Dodging Bullets and Dead Set. His books include Apocalypse of the Dead, The Ninth Plague, The Zombie King, Lost Girl of the Lake, and The Red Empire. As a police officer, he’s received training in disaster mitigation, forensics, and homicide investigation techniques, some of which finds its way into his stories. He lives in the Texas Hill Country north of San Antonio.